Those who make customer service their priority achieve success. Dave Di Pietra -- an entrepreneur, animal lover and Cart2Cart user -- is one of those people. 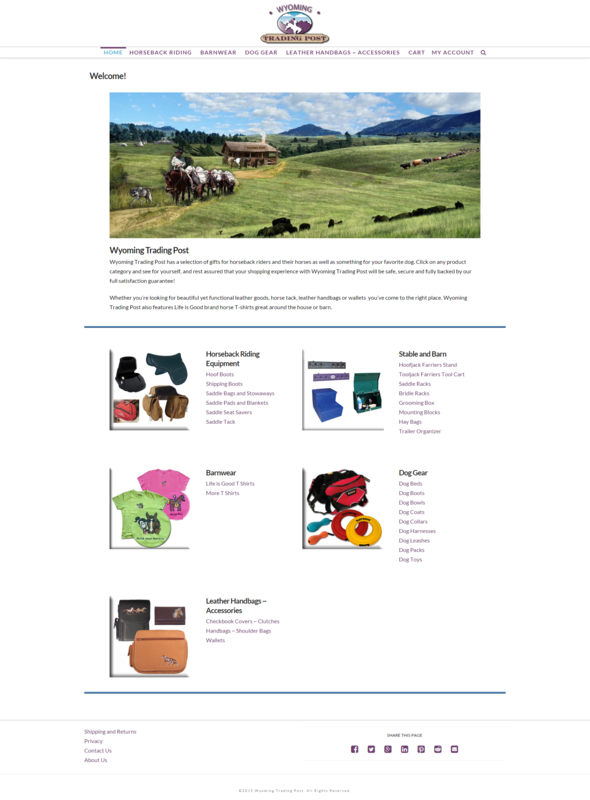 Being an owner of “Wyoming Trading Post” store and “Synergist Saddles” brand, he has kindly agreed to share his experience on running an e-business and WooCommerce to WooCommerce migration. Please, enjoy his story. Q: It’s nice to see you here, Dave! As a store owner selling horseback riding equipment -- including handcrafted horse saddles -- and dog gear, you must be quite passionate about, well, horses and dogs, aren’t you? I live in the mountains between Cheyenne and Laramie, Wyoming with my wife , CJ, and our animals. We work only to support our lifestyle which is centered around our animals and the outdoors. Our horses, dogs and cats are as loved as our children are. Q: What does it takes to build a well-trusted brand? “Synergist Saddles” brand, under which your saddles are made and sold, seems to be quite recognizable among the community. My father started our business over 25 years ago. From the very start he always said “ I will treat our customers the same way I want to be treated.” My wife and I took over the business in full time in 2001. We have always lived up to my father’s ideal. The number one thing we sell is not saddles, it is customer service! Q: What customer acquisition channels do you use except of word-of mouth marketing? Are there any techniques or strategies you could share with us? About 40% of our new prospects come from customer referrals. We tried a lot of different magazine ads in the beginning and it wasn’t worth the money for us. So now if a customer refers a friend we reward them with a $200 check. We ask for customer referrals and testimonials about 2 weeks after their saddles are delivered. They are excited about their new saddle and very willing to share. About 35% of our new prospects come from internet searches. We keep up on our SEO for our web site and our market is relatively wide open for long tail keywords that apply to our business. It’s not very hard to get top 10 placement on Google, Yahoo and Bing. We use a company called Infusionsoft for our Customer Relations Management which tracks everything customer related and also gives us the opportunity to automate quite a bit of the lead generation and sales process as well as keeping in contact with customers after the sale. 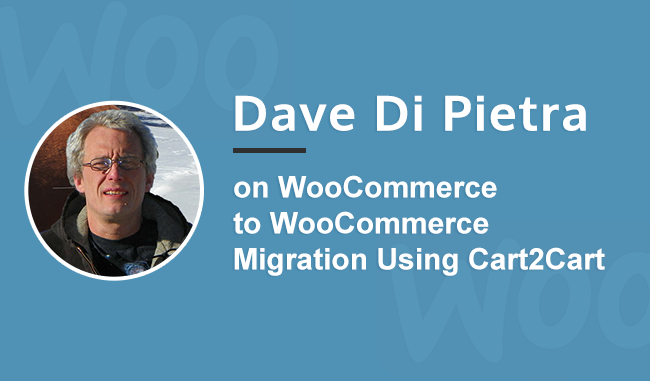 Q: Recently, you’ve performed WooCommerce to WooCommerce migration using Cart2Cart. What was the reason? 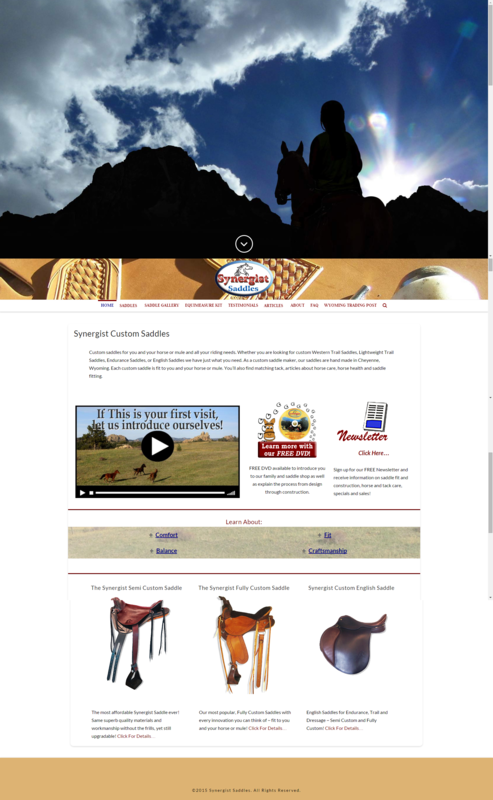 We had a small store on our synergistsaddles.com website called Wyoming Trading Post and wanted to expand but felt that we should separate the two so as not to dilute the saddle site and make it easier for saddle customer to focus on saddles. Another big reason was being able to do targeted SEO for wyomingtradingpost.com. Q: How did you discover Cart2Cart? Were you considering any other ways or migration? I did a Google search and compared over ten different services. With all the web designing software available these days anyone can put up a decent looking site but when it comes to server side database related issues and moving parts of one site to another I believe strongly that you have to be realistic about your skills and sometimes it just pays to hire a professional. Cart2Cart offers professional help combined with competitive pricing. Q: So now when the migration is finished, what’s your impression? Would you recommend using Cart2Cart to other store owners? I am 100% satisfied with Cart2Cart. These days, as many companies grow, customer service becomes worse. Cart2Cart exceeded my expectations! I had a minor issue with the migration and much to my surprise it was dealt with in less than 3 hours of sending an email. That is just about unheard of in this day and age! Thanks to everybody who helped me on this project! Cart2Cart team is infinitely grateful to Dave Di Pietra for his time, efforts and trust. We wish him good luck and lots of satisfied customers! Keep it up, Dave!